This research-based series is designed to develop reading, listening, and speaking strategies through performance. These scripts allow for differentiation to ensure that all students can participate. Improve fluency and comprehension using engaging scripts and a performance-based learning format. Target instruction with strategies that focus on improving accuracy, automaticity, and oral expression. Correlate fluency activities to both content areas and common literature. I am not ashamed to say that I am a reader’s theater nut! I really get pumped when I see kids perform scripts. And I am equally excited to see the fire in teachers’ eyes when they begin to use reader’s theater with their students. Thus, it is no understatement to say that I am thrilled to see Teacher Created Materials publish this fine reader’s theater program. Let me explain why I am such an advocate for reader’s theater. As someone who has studied reading fluency, I know that repeated reading is one of the best methods for developing students’ fluency in reading. However, it disturbs me greatly to see the manner in which students are often asked to engage in repeated reading. I see students do repeated reading with an aim at improving their reading speed—“Read this one more time to see if you increase your reading rate.” To me, this is not a terribly authentic way to engage in repeated readings. As a result of such a focus, I have seen many students develop the idea that repeated reading is done to make them faster readers, and that reading fast is what reading is all about. Through such an approach, we run the risk of developing readers who sacrifice comprehension in order to read fast. To do repeated reading appropriately, students need an authentic reason to repeatedly read or rehearse a text. I think the most natural reason to practice is performance. If you want students to engage in repeated readings, have them perform what they are practicing for an audience. With performance as a goal, students now have a natural reason to engage in repeated readings. Reader’s theater is a performance genre—it is a type of reading material meant to be performed. 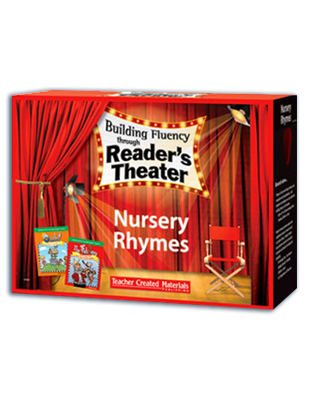 Moreover, because the focus of the practice is to convey a meaningful interpretation of the text to an audience, reader’s theater is also a natural vehicle for developing reading comprehension. I believe that reader’s theater is one of the best and most authentic ways to enthusiastically engage students in repeated reading to build reading fluency and improve overall reading performance. My second reason for being a reader’s theater nut is easy to express—reader’s theater is fun! We all like to be a star at one time or another. Reader’s theater is a perfect vehicle for allowing students to become the stars. I remember doing reader’s theater with the elementary and middle school students I taught. They could not get enough of it. They absolutely loved it. And, as their teacher, I loved it, too. I loved to see students perform with their voices, watch their excitement, and enjoy their growth as successful readers. Moreover, through the opportunity to perform and see themselves as successful in reading, many of the struggling readers I worked with began to believe in themselves again. Many struggling readers give up on themselves as they are forced to plod through one unsuccessful reading experience after another. The enjoyment, success, and fulfillment that are part of reader’s theater can help to break this cycle of despair and failure in reading for so many students who find learning to read difficult. Third, reader’s theater is a natural way to connect all areas of the school curriculum. Social studies, literature, science, art, and other curriculum areas can easily and effectively be explored through reader’s theater. The scripts that are part of this program, in particular, have been developed to make those connections. Students can become so engaged in the process of rehearsal and performance that they may not even be aware that they are learning important content that goes beyond the reading experience! I know reader’s theater works. 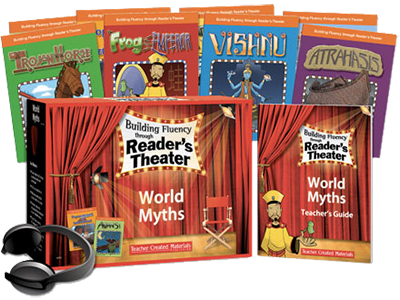 Nearly every teacher I have met who uses reader’s theater on a regular basis feels that it is one of the best and most engaging ways to help readers grow and to instil in them a sense of reading success as they learn important content. I hope you will give reader’s theater a try. I know you, too, will become a reader’s theater nut!